I liked the personal service. Vic, the owner, is a great guy. He stands by his word and stands behind it. They were on schedule. Vic does a really good job. I would say that they were excellent, as far as doing what they said they were going to do. They were very creative, and they gave us very good advice. Vic was excellent about being on the job most of the time, which a lot of times you don't find that with other contractors. Vic was here for a good portion of the time, and I was very impressed with that. They started when we wanted them to, Vic was here most of the time, and the person who was in charge when he wasn't here was very good. 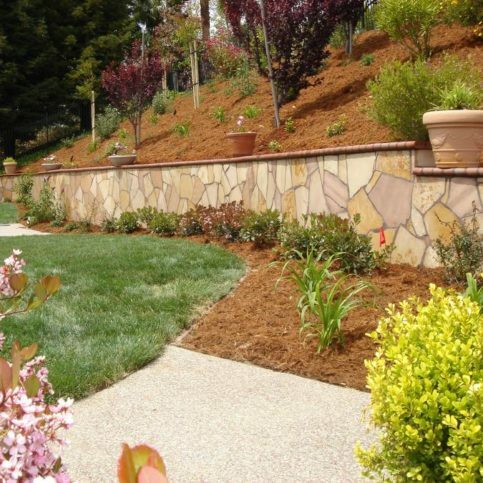 Pacific Landscaping provides Contra Costa County homeowners with a variety of residential landscaping services, including new installation, remodeling, drainage, masonry, planting and irrigation. 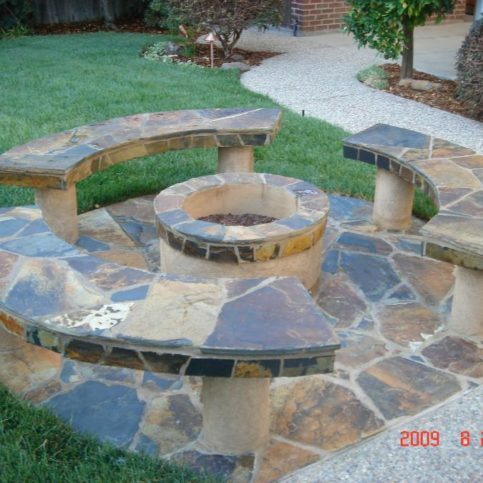 The company can also build decks, retaining walls, hardscapes, arbors, patios, gazebos and more. 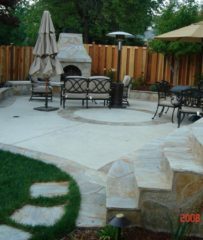 Owner Vic Cvijanovic established Pacific Landscaping after spending many years working for other landscaping firms in the Bay Area. He says he wanted to work for a company that embodied his standards for quality and good-faith business practices, and he felt creating his own firm was the best way to offer the excellence that he felt homeowners deserved. 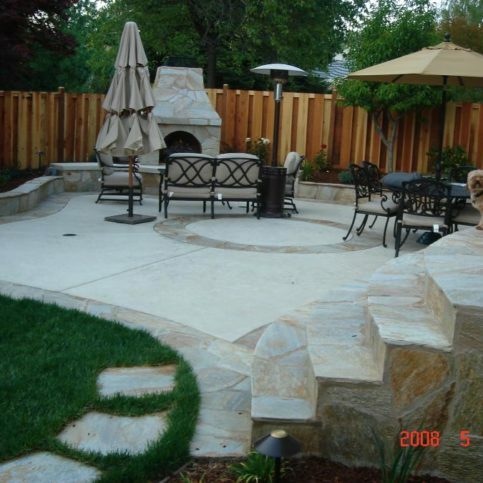 Pacific Landscaping also offers design services to clients with landscaping construction or remodeling projects. “We work with our customers’ budgets and select the best materials to create functional designs that stand the test of time,” says Mr. Cvijanovic. The company works on a project-by-project basis, which allows it to focus on quality and keep to the schedules it sets. Areas Served: Serving all of Contra Costa County including Walnut Creek, Alamo, Danville, San Ramon, Concord, Clayton, Orinda, Moraga, Lafayette and Martinez. 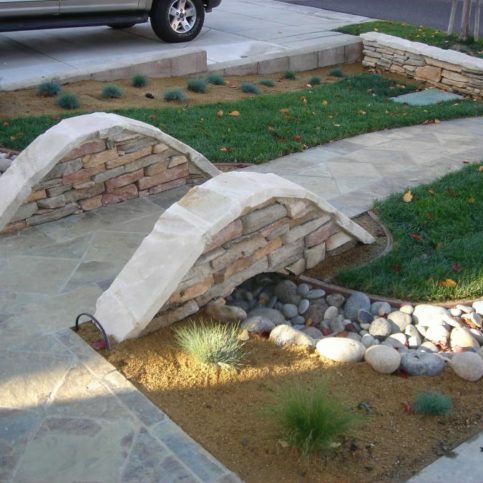 According to Pacific Landscaping’s owner, Vic Cvijanovic, the most common reaction to his company’s jobs is, “It’s much better than I anticipated.” Mr. Cvijanovic attributes his company’s success to an unwavering commitment to superior workmanship and an absolute refusal to take any shortcuts. In 1986, frustrated by the less-than-stellar work turned out by his former employers, Mr. Cvijanovic set off on his own. 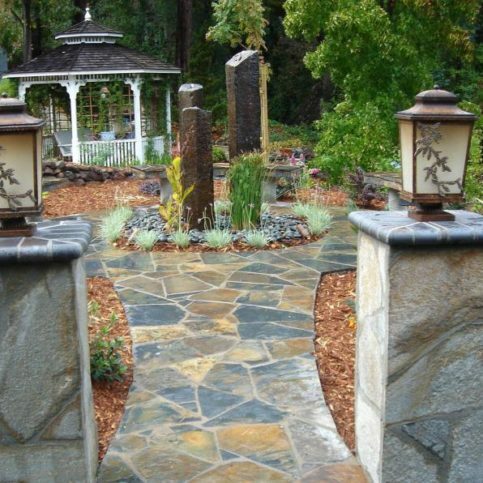 The result was Pacific Landscaping, a company that embodies his standards for quality and good-faith business practices–doing “what the customer likes and not just what I like.” Mr. Cvijanovic’s ultimate landscaping goal is to build beautiful, functional, long-lasting designs that fit his customers’ budgets. 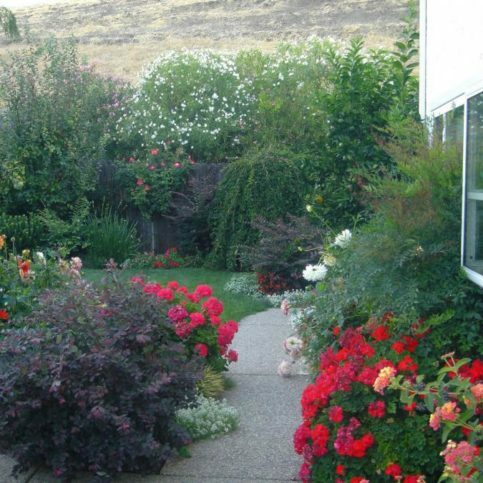 Pacific Landscaping has a “perfectly neat and clean record,” a 23-year history without a single complaint to the Better Business Bureau, says Mr. Cvijanovic. 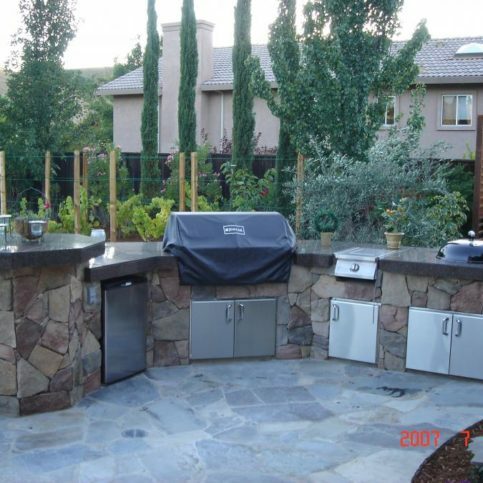 It’s a distinction he believes sets him apart from the majority of landscaping contractors, and it’s helped him grow a loyal customer base and made him the beneficiary of many enthusiastic referrals. Mr. Cvijanovic and his team are obsessive about punctuality. In the rare event that they’re running late, they alert clients in advance. It stems from the company philosophy: “When promised, as promised.” Mr. Cvijanovic believes in this so fervently, it’s printed on his business cards. 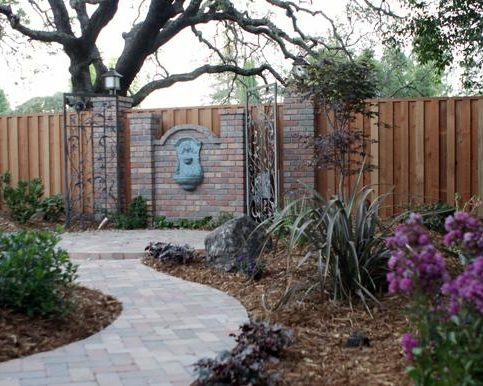 Because Pacific Landscaping limits itself to a single project at a time, clients never have landscapers showing up late or rushing off early to other jobs, says Mr. Cvijanovic. Until it’s completed to your satisfaction, your job is the company’s sole focus. Pacific Landscaping keeps its prices as low as possible, but Mr. Cvijanovic draws the line at cutting costs by cutting corners–a practice he likens to cheating. If he can’t bid a price that the customer can afford, he willingly refers them to other contractors. He recommends you and the landscaper meet every morning, if only for a few minutes, for the duration of the project. Ask the landscaper to review activities scheduled for that day. 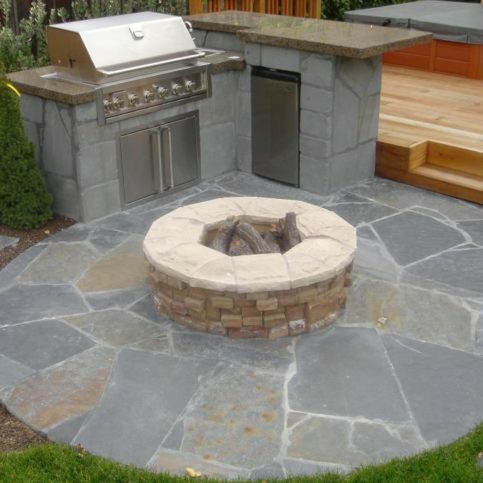 Find out whether the landscaper plans any revisions, however minor, to the project’s original blueprint. Use the meeting to ask questions and make proposals of your own. “I always recommend customers be heavily involved in their project,” says Mr. Cvijanovic. He also recommends you scrupulously check the company’s record. Find out whether complaints have been lodged against it, the nature of those complaints and whether they were satisfactorily resolved. Be sure your landscaper buys high-quality material from new stock, says Mr. Cvijanovic. For example, the PVC piping used for underground irrigation comes in several grades. If you happen to strike a low-grade pipe while digging in your yard, the shovel will break it and cause a leak. A: Absolutely. I do one project at a time—just you, no one else. Q: Do you demand full payment in advance? A: Never. You pay the whole amount when the project is completed to your satisfaction. Q: Can I call some people you’ve worked with before? A: I’m happy to give you telephone numbers of past clients. Ask them about my service and my character. Q: Do I have to worry about security? A: My guys have been with me for a long time—in one case, 15 years. They can be trusted. Q: Are you good about clean-up? A: You won’t even recognize there was any work done on that particular day. We clean up and make sure there’s no damage. If there’s damage to a TV cable or something, we’ll fix it. 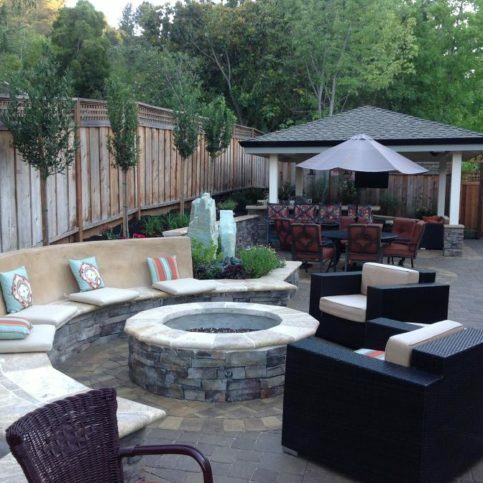 Pacific Landscaping installed this flagstone and concrete patio in Danville. 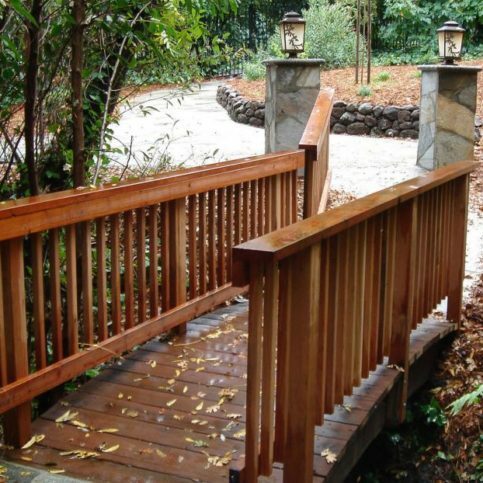 Pacific Landscaping built this redwood bridge that runs over a small, natural stream in Walnut Creek. 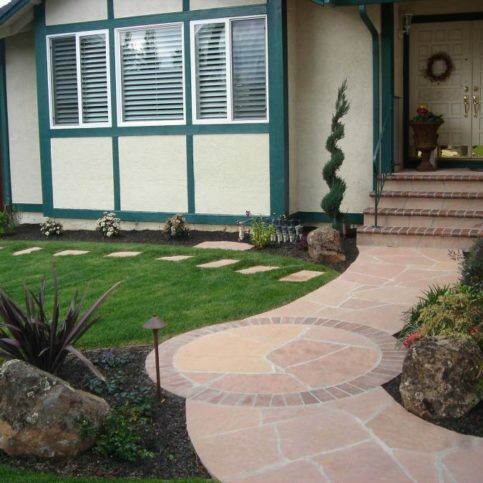 Pacific Landscaping installed this brick walkway in Martinez. 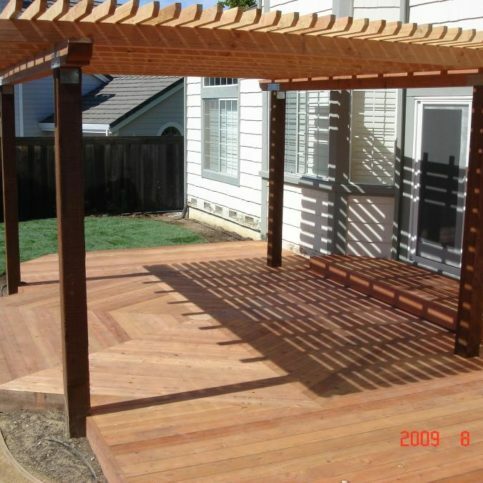 Pacific Landscaping built this octagon-shaped redwood deck with an arbor in Clayton. 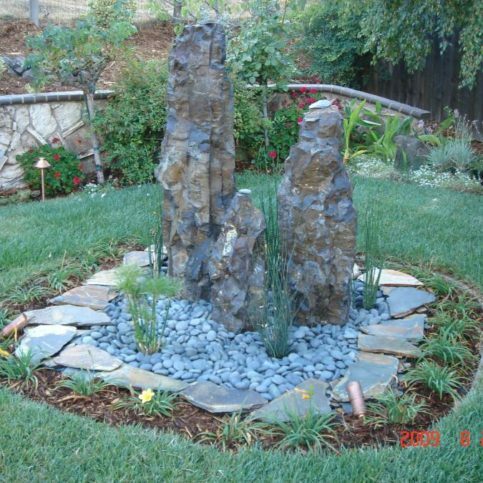 This water fountain is comprised of three natural stones and a concrete pool that contains 300 gallons of water. 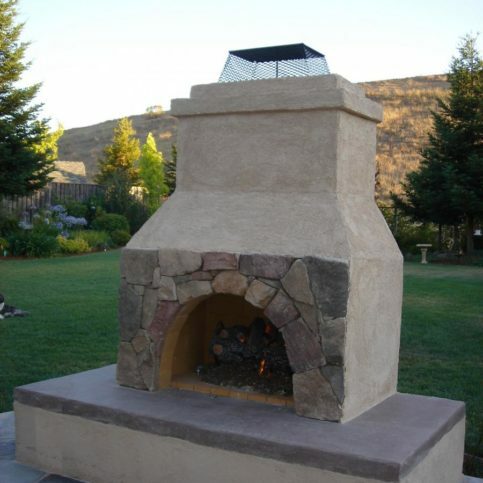 Pacific Landscaping built this stucco/flagstone fireplace with a sitting area. 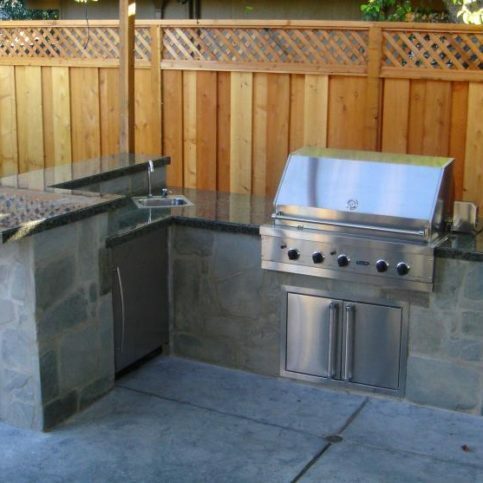 A recent barbecue installation in Danville: one runs on natural gas, the other runs on charcoal. 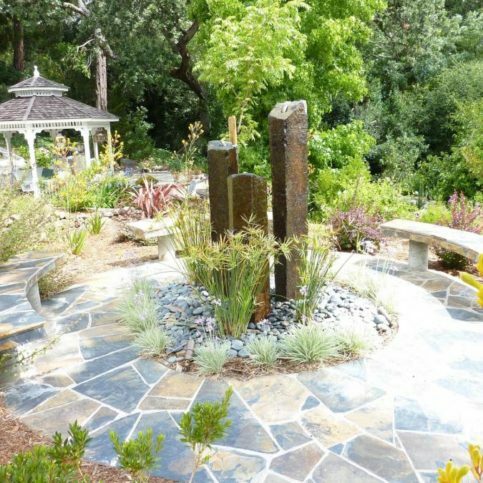 Pacific Landscaping installed this water fountain with three natural pillars and two flagstone-covered benches in Walnut Creek. 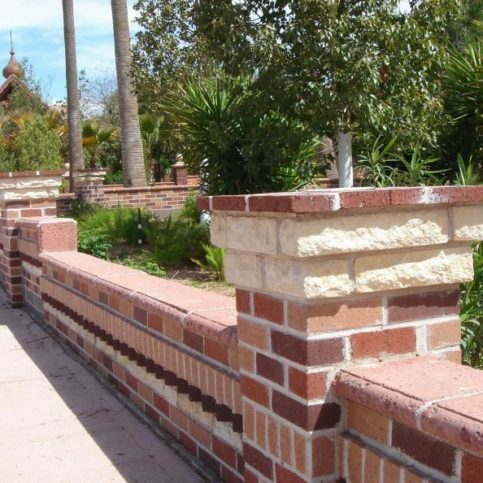 This decorative fence-wall is made from a combination of concrete, brick and natural stone. Pacific Landscaping built this concrete retaining wall and covered it with natural flagstone and bullnose brick on the top. 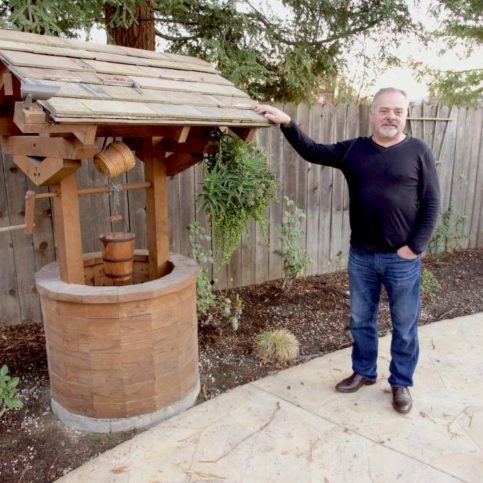 Owner Vic Cvijanovic built this decorative well for his wife. Vic Cvijanovic is a 32-year veteran of the landscaping industry and owner of Pacific Landscaping, a Diamond Certified company. He can be reached at (925) 526-5983 or by email. A: “Crime and Punishment” by Fyodor Dostoyevsky. I think few authors were able to penetrate the human soul like Dostoyevsky. A: Fall—it reminds me of my childhood and the beginning of the school year. Plus, I like the smell of the air, the changing weather and the rain. A: An early bird. I love to wake up early and get a lot accomplished. A: Little mortadella and salami sandwiches—I used to eat them a lot as a child. The single most important measure you can take before winter is to make sure your gutters and downspouts are clean and functional. You should also check the drainage basins around your property (if there are any). A good way to test your downspouts and other drainage components is to insert a garden hose and make sure the water flows out as it should; if it doesn’t, there’s a clog somewhere. Drainage is critical in the crawl space beneath your home, so you should check it periodically throughout the winter. In most houses, the crawl space can be accessed through an entrance located in a bedroom closet. Don’t worry, you don’t actually have to crawl underneath your house—simply take a flashlight and look around. If you see any standing water or smell a damp odor, consider it a red flag. Standing water beneath or around your house is not only bad for its structure; it can impact your personal health as well. If you discover moisture in your crawl space during the winter, there isn’t a lot you can do because of the wet conditions. Once spring arrives, have a professional come out and address the problem so you’ll be well-prepared for the following winter. 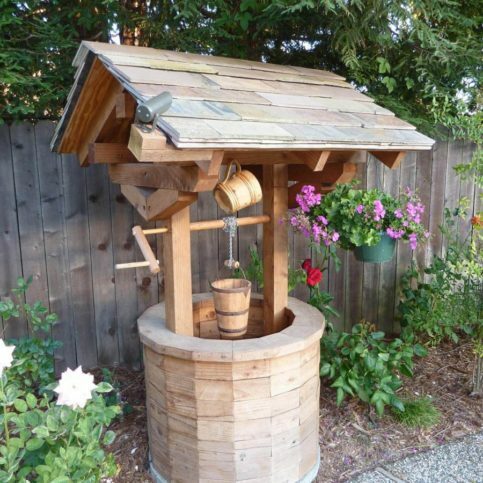 WALNUT CREEK — Host, Sarah Rutan: To avoid a drainage disaster, you’ll need to inspect some key areas of your home before the rainy season sets in. Today we’re in Walnut Creek with Diamond Certified Expert Vic Cvijanovic of Pacific Landscaping to learn more. Diamond Certified Expert, Vic Cvijanovic: I would like to take this opportunity to give a few tips about drainage problems during the winter time to my customers and my potential customers. First of all, you need to clean up your gutters on your roof and make sure the downspouts are working. Then, walk around the house and clean up all drainage basins if there are any, and make sure water reaches the final destination wherever it is, the street or somewhere else. Put some water hose in a few different places, downspouts or drainage basins and make sure it comes out. If it doesn’t, it means pipes are clogged up somewhere. And make sure to clear that up before a rainy season. Then, during the winter time, take at least three times a closer look in your crawl space and usually, it is located – the entrance is located in a bedroom closet. Take a flashlight. You don’t have to crawl underneath. Take a flashlight and look at all around. If you see any water or any puddles, it is a red flag. If you don’t see water, however you smell dampness and moisture, it is a red flag again. Remember, there is not much you can do about this at this time. It is wet outside, raining. However, since you know that you have a problem, then in the Springtime, go and take care of it. Call somebody and make sure you are ready for the next winter. Having water under the house or around the house is a bad – very bad for your home structure and even worse, much worse, for your health. So, please stay dry and healthy. Thank you for your time. Pacific Landscaping : Average 9.2 out of 10 based on 122 unique customer surveys of customer satisfaction. Everything they promised, they did. They said they would do something at a certain time and they completed it in a timely manner. They helped me figure out what was wrong with my landscape and design it. I thought they did a great job. The owner was involved, he didn't subcontract out, and he was very helpful in explaining everything and designing it. They do a quality job and they meet customers' expectations, and follow through on their promises. The workmanship is the highest that I have ever seen. The workers are great. I love the honesty and trust of Vic and his crew. I think that Vic knows his industry very well. He does a very clear assessment of work that needs to done concerning gardening and the needs of the client. I feel that whatever Vic commits to doing he can do very well and follows through with his plans of action. I liked their prompt response time. They do what we pay them to do, they listen to things we want done on a monthly basis, and they keep everything maintained. I like that they always show us things that need to be replaced before just fixing them. They get our approval. I would tell friends to use him. His employees are great, and he is great to them. He planted seventy plants and none have died. They are excellent. We give them our highest recommendation. We had a plant die on us, so we called him. He immediately sent out a worker to replace the plant. They did exactly what they said they were going to do, they followed up, and they promptly arrived every day on time. The owner was there to work with them to make sure they knew what to do and they did one job at a time. They have good communication, good follow-up, and good workers. I can't say enough good things about them. They did exactly what they said they were going to do and they did the job in the time frame that they said they would do it in. The quality of their work, every time I look at it, I'm pleased with it. Vic is honest and hardworking. His crew is hardworking, you can trust them, and they're easy to work with. I like the owner Vic and how hardworking he is. I think they're great. 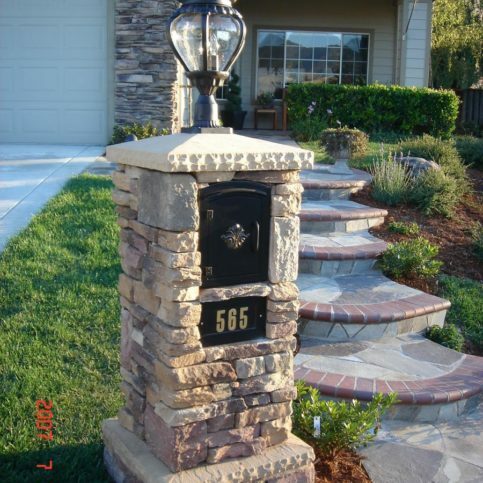 They're very dependable and they do one job at a time, unlike many other contractors. It's a great company. If they say they are going to do something, they follow through on that. I think that they were very clear on responding to what our requests were and carrying them out nicely. They do good quality work, they're on time, and they completed the job within the time frame that was stated. I'm very satisfied. Vic does what he says, he gives you what he promises, and he's just really great to work with. His crew is really good too. They clean up every day. They're just a great company. The way the yard came out, they're just a great company to work with. I'd say that they do quality work but you have to be patient because not everything is documented upfront. Vic has great ideas, but it's hard for him to commit to them. It makes it harder to commit to him because you don't know upfront what you're getting in detail. The fact that they wanted to use natural materials instead of just going flat and using concrete like the other landscapers wanted to do.